The Treasury Department won’t start relocating hundreds of federal employees from Maryland to West Virginia until the end of 2019, according to news releases. Treasury has put plans on hold to move 450 Financial Management Service employees based in Hyattsville, Md., to Parkersburg, W.Va., giving workers a six-year reprieve. 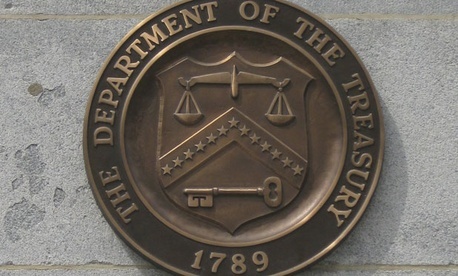 Treasury sought to move the jobs in late 2013 as part of an effort to consolidate the department’s Financial Management Service and the Bureau of Public Debt into the Fiscal Service. Employees initially had until January 2015 to relocate or separate from the government. The department this week announced the relocation won’t begin until Dec. 31, 2019. Affected jobs include those in accounting, information technology and some management and related support positions. Maryland’s congressional delegation and the National Treasury Employees Union fought the plan to move employees to another state and negotiated for the delay. “NTEU will continue to be deeply engaged in this process to ensure that the employees it represents at the Financial Management Service have their concerns addressed,” said union President Colleen Kelley. Rep. Donna Edwards, D-Md., represents the area affected by the move. “This is a significant victory for our FMS workers and Prince George’s County,” she said. “From the beginning, I fought to keep these jobs in Prince George’s County, and ensured that workers received the proper level of support to protect their well-being."